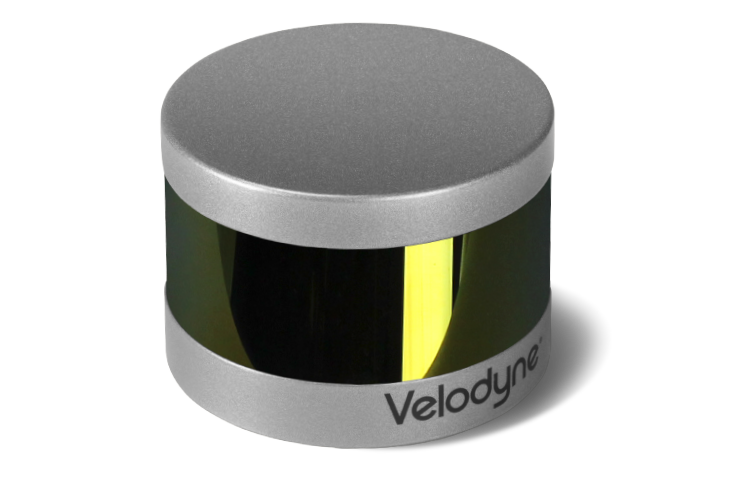 Velodyne's Puck (VLP-16) is the smallest, cost-optimized product in Velodyne’s 3D LiDAR product range. Developed with mass production in mind, the Puck is far more cost-effective than comparable sensors, and it retains the key features of Velodyne’s breakthroughs in LiDAR: Real-time, 360°, 3D distance and calibrated reflectivity measurements. The VLP-16 has a range of 100 m, and the sensor's low power consumption, light weight, compact footprint and dual return capability make it ideal not only for autonomous vehicles but also for robotics, terrestrial 3D mapping and many other applications. Velodyne’s LiDAR Puck supports 16 channels, ~300,000 points/second, 360° horizontal field of view and a 30° vertical field of view, with ±15° up and down. The Puck does not have visible rotating parts, and is highly resilient in challenging environments while operating over a wide temperature range.